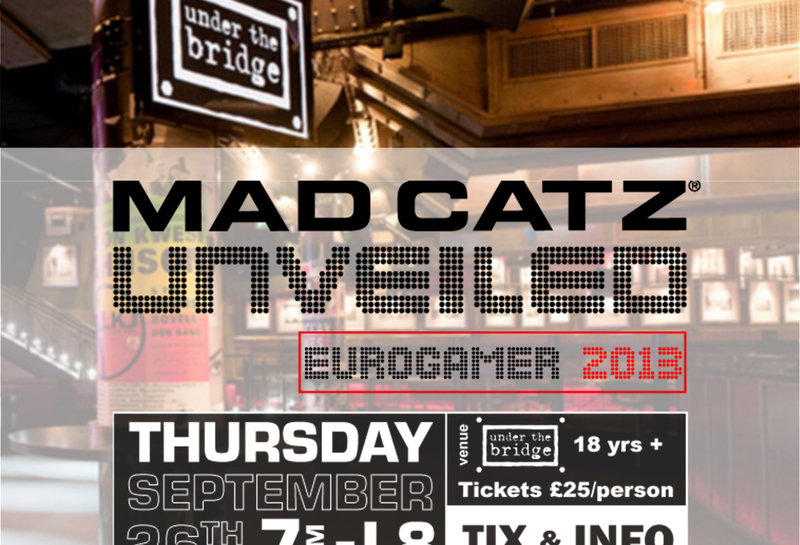 Are you ready London… for Mad Catz UNVEILED? An exclusive event! Come join us for some hands-on time with pre-release titles before they hit store shelves, meet industry insiders, and some one-on-one time with the Mad Catz professional gamers. As well as hosting the final of our FIFA tournament live, the finalist will get the opportunity to play our very own YouTube sensation, KSI, live on stage and streamed globally on the eve of the launch of FIFA14! Mad Catz UNVEILED is all about the games. We’re hooking up with some of the biggest publishers to give you playable previews of the hottest games. Don’t wait in line; come try them first at Mad Catz UNVEILED! Want to check out our latest peripherals? We’ll have all our new gear for you to test on all the latest hardware! 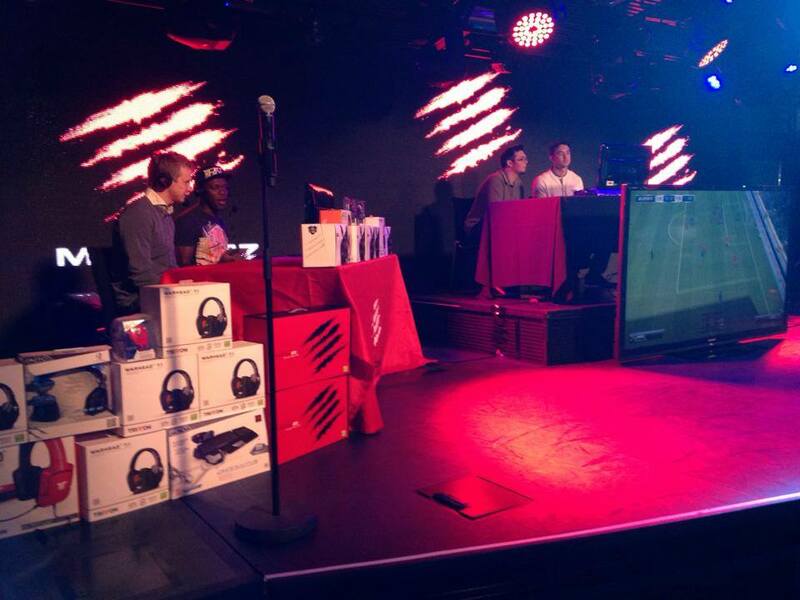 Watch the whole event live over on Mad Catz ‘s Twitch TV Channel. With a FIFA-esqe theme to the evening, where better to host the event than the exclusive West London club: Under The Bridge? 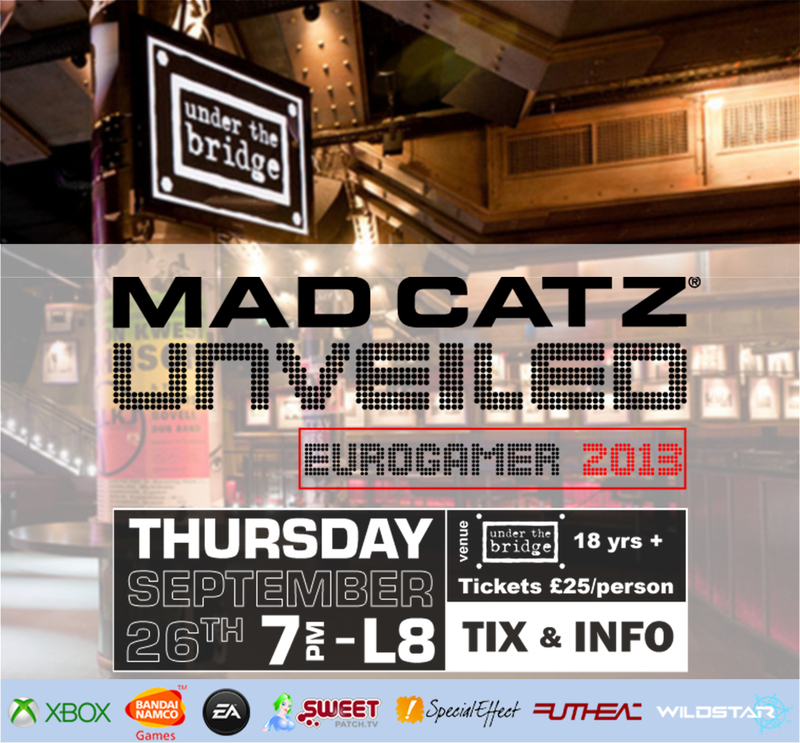 Join Mad Catz and Sweetpatch TV TONIGHT for the Ultimate Eurogamer Gaming Experience! Admission:£25* (Ages 18 & Over) *A percentage of ticket sales will be donated to Special Effect Registered Charity (Reg. Charity No: 1121004) – BUY TICKETS NOW! 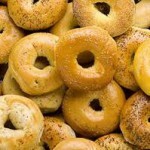 Mad Catz UNVEILED | Bagel Boy Beats Mike and is Beaten Up by KSI!